Yes I agree to receive The Added Touch email newsletters containing news, updates and alerts. You can withdraw consent at anytime. 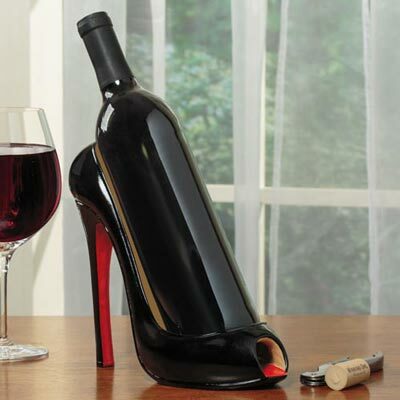 This season's must-have shoe isn't a shoe at all, but an amusing wine holder! Makes the perfect gift for the hostess on the cutting edge of fashionable dining. Features a peep-toe accent and lipstick-red sole. Holds one standard sized bottle of wine. Polyresin. 8"h.
Yes I agree to receive The Added Touch email newsletters containing updates and promotions. You can withdraw consent at anytime.